Just because the sweltering heat is upon us for summer doesn’t mean soup is out as a food fashion item. This Atkins Induction-friendly recipe is low on carbohydrates and big on flavor, with egg providing even more staying power than the average soup through added fat and protein. Ginger is also a known stomach-soother. Oh so pretty for a soup and sip-friendly, this is a slurpable staple kids will enjoy, as well–and, incidentally, so easy to make, you’ll wonder why you haven’t before. In 2 Tbsp sesame oil in a 4 qt pan, cook onions until transparent. Add broth and slowly bring to a boil over medium-high heat. Add salt, pepper, ginger and soy sauce, and stir occasionally for one minute. Beat eggs in a separate bowl. Slowly add eggs to the soup and gently stir until strands/strings form. Serve immediately. This is absolutely delicious! The only thing I had to change was I needed up up the heat to get it to boil. Trying to bring something to a boil on medium heat when you are using a cast iron pot doesn't work very well. After about 15 minutes I turned the heat up to high & it boiled very quickly after that, then I turned it back down to medium. I love this soup! Cast iron is so cool… even when it's hot! Love it! Thank you, Shirlee! This is the first low carb soup I've made and I am now addicted. It is simple to make, but more importantly….it's so delicious! This sounds great!! I will add that for this to be gluten free you’ll have to make sure you buy gluten free soy sauce. That is an excellent point, Angela! And who the heck even thinks of soy sauce having gluten? Blarg! It’s everywhere! I saw this recipe@ my old gym, made it once and loved it! Thanks so much for keeping I and others on track. You’re a blessing. This sounds amazing, a friend sent me the link for it. I do have a question though, Would this freeze well? I am assuming since it is soup it would. I love soup, hubby not so much so if I made this I would probably have my serving then measure out the rest and freeze till I want another bowl. Hi, Bren! If you freeze, freeze sans the egg and then reheat the soup and add the egg at that point. The egg would turn grody and rubbery in the freezer. You don’t need that. OOHHH I am trying this tonight! 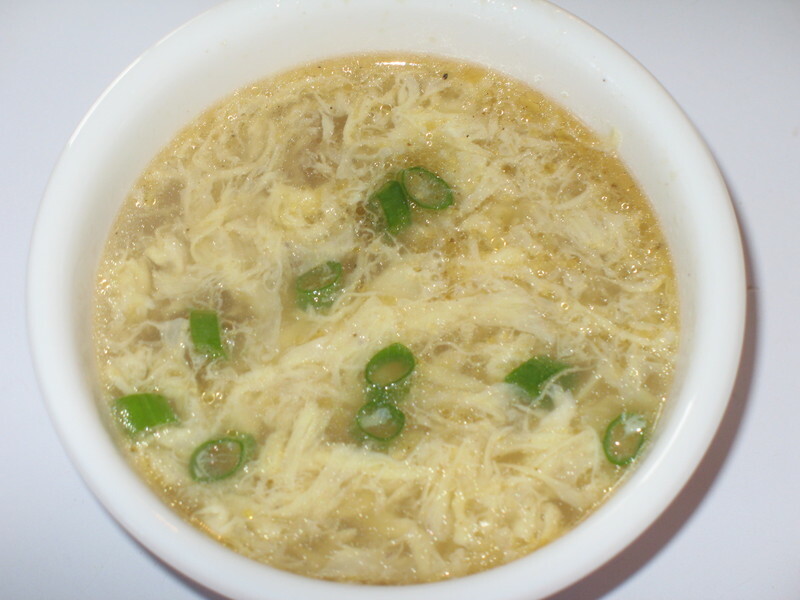 I am have been trying to find a low carb soup other than plain old cabbage. This looks great. Thanks for sharing.